Danny Boyle has finally opened up a bit about leaving James Bond 25. The Oscar-winner behind such movies as 28 Days Later and Slumdog Millionaire was hired in May 2018 to helm the next entry in the long-running franchise, only to unceremoniously depart the project several months later. Now, Boyle has discussed his departure with a bit of depth, while avoiding getting into specifics about what went on behind the scenes. When news of his departure first broke, it was chalked up to frustratingly vague "creative differences." That could mean literally anything. Especially as it pertains to a franchise such as this. What we do know is that Danny Boyle brought John Hodge (Trainspotting) on board to write a brand new script, which the studio was on board with. At least at first. Apparently, that's not how things stayed as they progressed. Here's what Boyle had to say about it in a recent interview. "I learned quite a lot about myself with Bond. I work in partnership with writers and I am not prepared to break it up. We were working very, very well but they didn't want to go down that route with us. So we decided to part company, and it would be unfair to say what it was because I don't know what Cary [Fukunaga] is going to do. I got a very nice message from him and I gave him my best wishes. It is just a great shame. What John [Hodge] and I were doing, I thought, was really good. It wasn't finished, but it could have been really good. You have to believe in your process and part of that is the partnership I have with a writer. It is like someone coming and saying, 'Hey, we are going to give you a different editor.' Those fundamental partnerships are vital." Basically, it sounds like the producers, most likely Barbara Broccoli, and possibly Daniel Craig, weren't happy with the direction John Hodge was taking the story. So, they wanted to bring in new writers, most likely franchise regulars Neal Purvis and Robert Wade, who were officially brought back on board once Danny Boyle left. At that point, Boyle decided to leave since it wasn't going to be the partnership that he signed up for. Simple enough, and it sounds like there were no hard feelings about it, at least not on his end. A rumor floating around is that the plan was (or maybe still is) to have 007 killed off in this next movie. That could have been a point of contention for Danny Boyle, but it's not clear if he was the one that wanted that to happen or didn't want that to happen. Whatever his movie would have been, it's a thing of the past. It's now in the hands of Cary Fukunaga (Beasts of No Nation, True Detective). Production is expected to begin next month with Rami Malek (Bohemian Rhapsody) on board as the villain. 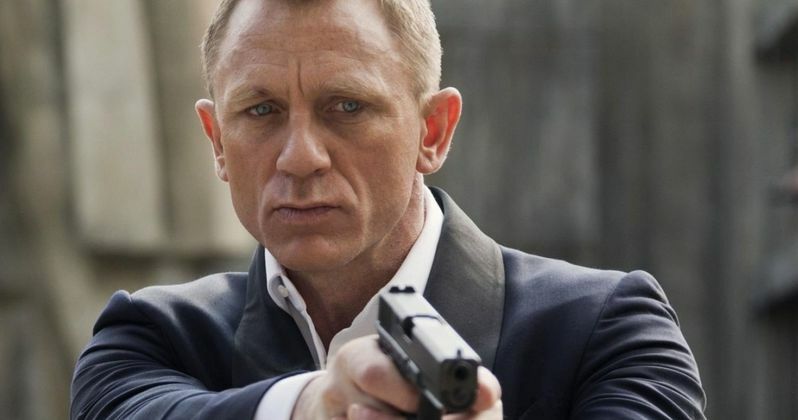 James Bond 25 is currently set to hit theaters on April 8, 2020. This news comes from Empire Magazine.